Inspiring countless business, political and military leaders (Napoleon, Mao Zedong and General MacArthur among them), The Art of War is a Chinese military treatise by Sun Tzu from the 6th century BC. Its 13 chapters are each dedicated to an aspect of warfare. 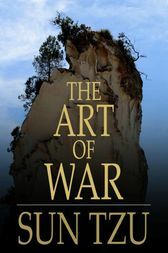 Praised as a definitive work on the art of strategy and tactic, The Art of War now finds its greatest application in the world of business and management.